Cathy Cat Eye sunglasses are made of polished metal and comfortable TR90 material. Three colour options: Brown, Purple and Black. Featured with adjustable nose pads and stylish cat eye design. 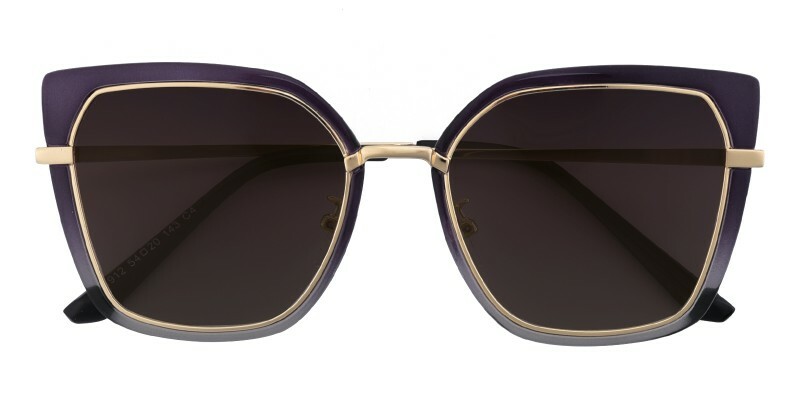 It is a good choice for women who are looking for a pair of fashionable sunglasses. Prescription sunglasses and non-prescription sunglasses are available. 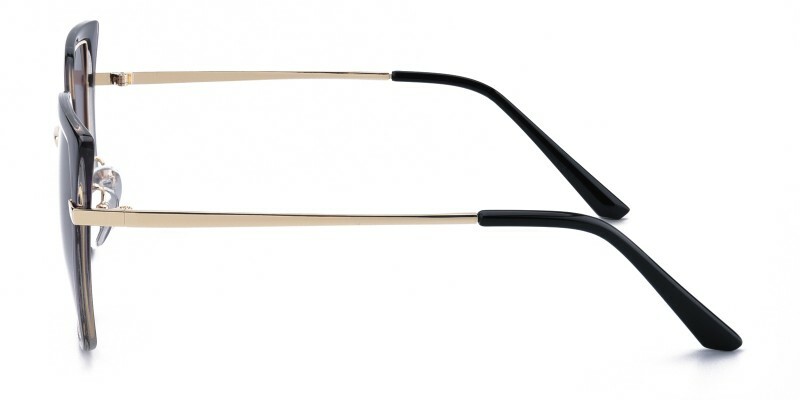 Love these, they fit well (needed to get the ears adjusted at a eyewear store) and are lightweight and comfortable. The case they came in is great too! I'm pleased! This is my first time purchasing glasses from GlassesShop after returning another pair a couple of weeks before. I bought these frames last month and I just fell in love with them. It fits true to size and the frame size fits my face perfectly. I loved my glasses so much that I recommended my brother and mom to GlassesShop. I would definitely recommend this product to other people.